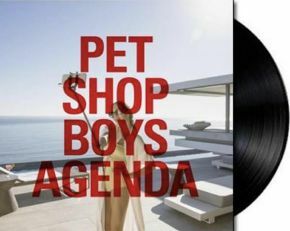 Fans of Pet Shop Boys (known in their community as Petheads) are divided in their opinion of the duo’s latest EP Agenda. Earlier this week the first of the four track EP was released on various streaming websites worldwide and was greeted by a mixed bag of delighted and disgruntled fans. Highly political and very controversial Give Stupidity A Chance openly roasts figures such as Donald Trump and Michael Gove for the poor quality of their governing. A brave move in the current climate where opinion is split and already teetering on the brink of social meltdown. Not one to shy away from the topics of the day Tennant’s observational songwriting on social and political themes have run through the entire back catalogue of hits. Just a day later On Social Media arrived in the wee small hours to yet another social media storm. A satirical song about: “the issues one might have with social media” says frontman Neil Tennant, ironically on the groups own social media sites. By Wednesday fans were still battling over the finer points of the previous two tracks when What Are We Going To Do About The Rich was released. Some have described it as perversely hypocritical since the song deals with the subject of the super rich such as oligarchs who don’t pay their share damaging the economy while poorer people struggle to survive, hypocritically in the sense that it is written from the perspective of someone someone who has amassed considerable wealth themselves. It’s possible those who feel that, have taken the song out of context and the subject continues to be argued out amongst Petheads. Whatever the reasons it’s clear Pet Shop Boys have an axe to grind and grind they have, even if it incurs the wrath of many long time fans. The closing track ends on a more haunting note, The Forgotten Child has an eerie undertone of the disappearance of Madeleine McCann according to some but the lyrics also suggest something deeper, an insidious political agenda that exploits our innermost vulnerabilities to erode our most basic freedoms. Agenda is chillingly revelvent whatever your opinions and can’t be dismissed as just another rant about how it’s all gone wrong. Available to download at iTunes/Google Play stores.